My favorite line in this blog: “Typically, when I get arrested, I snap out of my blackout—but not this time.” Wow. Thanks, Sally. Guest-posting is a fabulous part of being part of the blogging culture. If you’d like to guest-post here, email me at guinevere (at) guineveregetssober (dot) com. As Emmylou Harris sings about addiction: "At the bottom of a hole of a deeper well..."
My bottom looked like this: I was facing years in a federal prison, after years of getting arrested on various alcohol and drug related charges. In the end, I had three different counties wanting to lock me up for good. I had lost the faith of a loving family, all my friends looked at me as a sick person and I hit a place of spiritual bankruptcy that was more emotionally taxing than anything I had ever experienced in my life. And I was only 21. My life was headed down a road of destruction and failure, and everyone knew it but me. I could not bring myself to distinguish the truth from the false, and the truth about my life was that it was plummeting to a place of no return. I was headed toward prison, yet I still felt invincible. Alcohol consumed my every thought. I loved to drink. I love the effect produced by alcohol. I drank essentially to produce that effect. Once I took the first drink, I couldn’t stop. An obsession came over me and at that point, no amount of will power could keep me from heading off on another spree. That’s exactly what happened the night of August 2, 2008. I woke out of a blackout in mid-conversation with a Hispanic guy, and I was yelling at him: “Speak English, dammit!” This man turned out to be a fellow cell-mate because, you guessed it, I was in jail again. No idea how I’d gotten there. That blackout was one of the worst of my life. It was long, six to eight hours in duration, and I remembered literally nothing. Typically, when I get arrested, I snap out of my blackout—but not this time. The last thing I remembered was the obsession to drink that took over my body, and I was staring down a bottle of vodka. That had been about six hours earlier, and at this point, I felt like my life was over. I am an alcoholic. … I can’t drink normally. … I’ve never been arrested sober. … I have to stop drinking. It was that easy, but then again—I couldn’t imagine living without alcohol. Eventually, they let me out of jail, and I went straight to a rehabilitation hospital for alcohol addiction. That night, I attended my first AA meeting, with an honest desire not to drink. This desire had come over me when I was in jail that last time—it was the first of many spiritual experiences. It became clear to me: If I were to eliminate alcohol from my life—I wouldn’t be in the situation I was in. I never got arrested sober, because when I was sober I never broke the law. I haven’t taken a drink since. I was introduced to the fellowship of Alcoholics Anonymous, whose members introduced me to the program of Alcoholics Anonymous and its 12 steps to recovery. The 12 steps in turn introduced me to a God of my own understanding, through whom I found the power to solve all my problems. I found this God in working the steps. He was inside me the entire time. In my first spiritual experience, I realized that through all my trials and tribulations in life—God was there, guiding me through. I guess my God realized that the only way I was ever going to gain the willingness to throw myself into the steps was to suffer a severe amount of pain—so he gave that to me. Through the steps I’ve experienced several spiritual experiences and have since recovered from the “seemingly hopeless state of mind and body” that is alcoholism. I gained a sense of belief, and eventually faith, that has forever changed my outlook on life. I was given a new will to live. 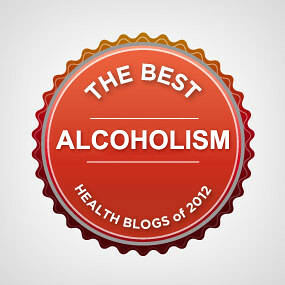 I had recovered from alcoholism. I will always be an alcoholic. I will never be able to successfully take another drink of alcohol without setting the cycle of physical illness and mental obsession. AA’s program lets me experience true happiness. 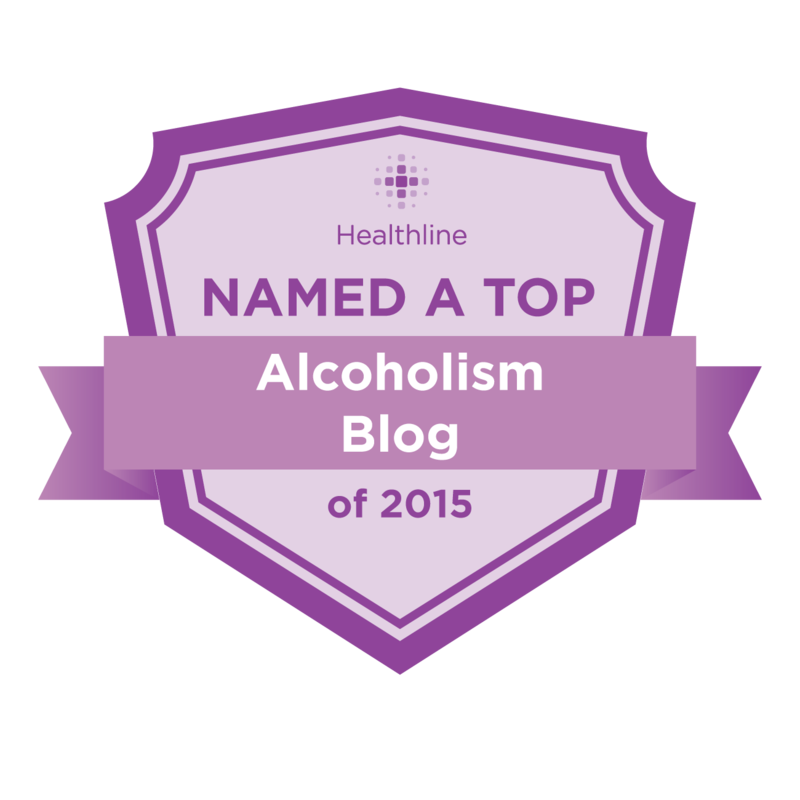 There is one small requirement that is asked of me: that I share my experience with other people in hopes that they too can recover from alcoholism. I am always here for anyone that reaches out. Sally writes about health and wellness on her blog, Eat, Breathe, Blog, and also about dental insurance. She said she couldn’t pass up a chance to share her experience, strength and hope with you. The news out of Columbia University: People identified as alcoholics at some point in their lifetimes were more than 60 percent less likely to seek treatment if their perception was that they’d be stigmatized once they let people know about their alcoholism. So fear of stigma, the study concluded, was a potential explanation for how few alcoholics who really need treatment actually manage to get it (less than 25 percent). The study was published in a November issue of American Journal of Epidemiology. Closeness predicts lower perceptions of stigma. The researchers call for national campaigns to reduce stigma and perceptions of stigma. They point out that evidence shows “stigmatizing attitudes” toward mental illness can be changed, but no national efforts have targeted alcoholism in particular. This all seems to harmonize with some new work I’m discovering. “Shame” itself is an even more ancient word whose roots mean “to cover oneself.” Essentially, “to disappear” because of self-hatred. Exactly the side-effect I was looking for in painkillers. I wanted to numb out thoroughly, to Get Small, to disappear. The extra-added energy-boost was fun while it lasted, but even after that left me, I continued to use because I just wanted to Go Away. I was also afraid of the physical pain. We cannot selectively numb feelings. . . . So when we numb [bad feelings], we numb joy. We numb gratitude. We numb happiness. And then we are miserable, and we are looking for purpose and meaning. And then we feel vulnerable . . . And it becomes this dangerous cycle. Brown says those who allow themselves to “soften into loving someone, to care about something passionately”—to be vulnerable—are the people who are more able to get help when they need it. Which is what these Columbia researchers are saying: Closeness predicts lower perceptions of stigma. People who have close relationships have less fear of shame and are better able to get help. Listen to her talk this weekend. Makes me want to go back to grad school. God I mean blimey, the sense of impending doom. How fast I forget. I remember how I used to hide inside the house. Every day, toward the end of my active addiction to painkillers, I used to listen for cars pulling up to the curb outside the house, sure they were cops; I’d stand at the side of the living room window and peek at the edge of the curtain to see if some swaggering armed officer, or some bland shaven gray-suited agent with glasses and hair neatly parted at the side, carrying a briefcase or a folder with my name on it, were coming up the porch steps. If you think this is pathetic and sad, you would be correct, it was pathetic and sad. It was never a cop or an agent. Nobody but the mail carrier ever came up the porch steps. I had been a naughty girl, but apparently I was never That Naughty. (Or else: I never got caught) It was just that jolly old chemically-induced Sense Of Impending Doom. I.e., paranoia. The Destroyah. You get a good thing going, then you blow yourself out. What “God” did for me that I couldn’t do for myself?—I didn’t get caught. I had been quite naughty, and got another chance. Hell, I’d been given a bunch more chances over the years. This was just the most recent one. Of course, these are all “yets.” They’re out there. But they’re not behind me. I also heard people talking about what God DOESN’T do for us that we can do for ourselves. This is a favorite thing of mine to contemplate, because it means I can take action and responsibility. One way I used to work Steps 6 and 7: I would figure out my “defects” (fear; pessimism; self-doubt… are the big ones anyhow) and then “relax and take it easy,” sit back and tell God (in the form of “prayer”)—Oi, God, time to take these away now, get on it, man. As though this were my dive joint and God were my own Supernatural Busboy. Or my genie. OK—you can identify your weaknesses, but then try identifying their opposites. Then list specific actions you can take to start moving toward the opposites—the opposites we’re born with. Ask God for the opposites, and then start living according to them. Basically… we start acting as if the shortcomings have already been removed. God apparently does some unexpected things.